WORKSHOP FOR YOUNG ASPIRING MALE-FEMALES MODELS. Join Fashion Runway for professional modeling workshops plus professional styling and photo shoot for aspiring male-female models ages 18-25 years old. A panel of skilled and accomplished choreographers and renowned models will guide you through and share their insights on making it big in the fashion industry. 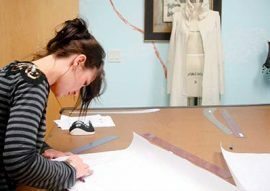 At Fashion Runway, Workshops are designed for NEW FACES and PRO MODELS who are committed to the fashion industry and want to stay on top of their career. – Ask the modeling industry pros in makeup, modeling, styling, and photography! – Q&A -everything you ever wanted to know about modeling. Fashion Runway is NOT a modeling school. Our Workshops are one time only. Runway workshop is educational and NOT inclusive of signing with Fashion Runway. LIMITED SEATS, BOOK YOUR SLOT TODAY !